This issue offers a commemoration of the disaster that struck northeast Japan a little more than three years ago. On 11 March 2011, an earthquake occurred along the ocean floor some 72 kilometers off the east coast of the Japanese archipelago. The six-minute long earthquake measured 9.0 magnitude and caused a massive tsunami to surge into the nearby coastline with a flood that reached as high as a twelve-story building (40 m). At the Fukushima Daiichi nuclear power plant, a fifteen-meter high tsunami poured over the plant's protective seawall, inundating emergency power generators and thereby shutting down its cooling system. Within hours, a nuclear catastrophe began to unfold with the leakage of radioactive water and an explosive release of radioactive materials into the atmosphere. All together, the threefold earthquake-tsunami-nuclear disaster damaged or destroyed over 200,000 buildings, required the evacuation of 160,000 residents, and took the lives of 15,883 people (with an additional 2,654 people still unaccounted for). Officially called "The Great Eastern Japan Earthquake," the triple disaster is frequently referred to in Japan as "3.11" for the date of the earthquake and in reference to 9/11-that similarly time-warping catastrophe that occurred one decade earlier. This issue presents reviews of seven different films that have been made about different aspects of the disaster. I wish to thank our reviewers for their contributions to this issue. I also want to let our readers know that this will be my last issue as review editor and thank the Asian Educational Media Service and the Center for East Asian and Pacific Studies at the University of Illinois for allowing me to serve in this capacity the last two years. Documenting Disaster: Review of In the Grey Zone (2012) and A2-B-C (2013). Directed by Ian Thomas Ash. In Japanese, with English subtitles. The outlines of the triple disaster of 3.11 are well-known, but much less attention has been paid to the continuing disaster that is known simply both in and outside of Japan as "Fukushima." In the whole of Fukushima Prefecture, less than 2,000 people lost their lives in the tsunami that swept away whole communities further to the north, but of the 110,000 residents evacuated from the area around the crippled Fukushima Daiichi nuclear power plant most will never return home. 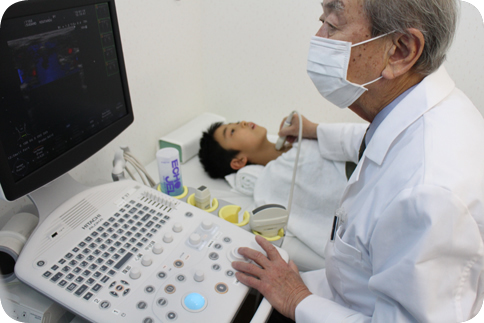 Their houses, schools, and workplaces have been polluted with toxic levels of radioactive cesium and strontium that have rendered the area uninhabitable for decades to come. It is the experience of this still unfolding nuclear disaster by local residents in Fukushima Prefecture that is the subject of Ian Thomas Ash's two documentary films In the Grey Zone (2012) and A2-B-C (2013). Directed by Regge Life. 2012. 85 minutes. In Japanese and English, with English subtitles. Three years have passed since the devastating Great East Japan Earthquake and tsunami that took thousands of lives in the Tohoku region of Japan on March 11, 2011, but the event ("3.11") remains very much in the public consciousness as Japan continues to mourn its losses, wrestle with recovery plans, and struggle to help people put their lives, families and communities back together again. In many places, there are tangible signs of progress in the form of new infrastructure, business startups and provision of social services that have allowed displaced families to return to their communities and begin to rebuild their lives. The physical devastation, of course is secondary to the trauma embedded in people's memories of their former lives and of the devastation borne by the tsunami as they struggle to re-create normalcy in their daily lives. In the past three years, many stories have been told of the chaos and terror that accompanied the disaster, the lives of loved ones lost, and the challenges to recreate home, family, and employment. 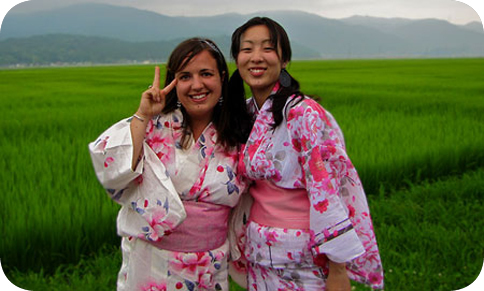 The emotional stories that locals tell are palpable, but as most of these poignant narratives are told in Japanese and reported within Japan, they are mostly inaccessible to those outside Japan and therefore inappropriate for use in classrooms abroad. Live Your Dream: The Taylor Anderson Story makes an important contribution, not only because it is accessible to English-speaking audiences but also because it relates a journey that many viewers will have taken or aspire to embark on in the future. 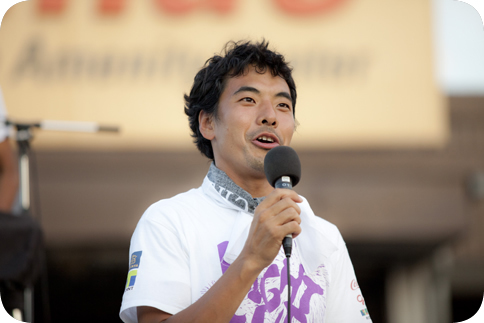 Directed by Kensaku Kakimoto. 2012. 28 minutes. Japanese with English subtitles. 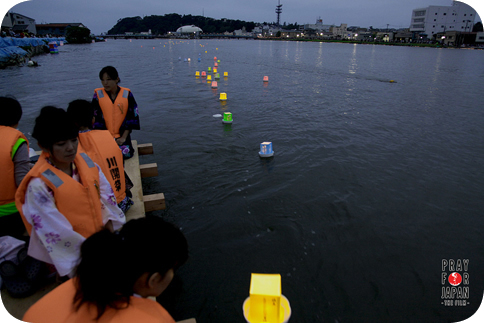 Light Up Nippon, produced by the Japan Foundation, focuses on the efforts of Takada Yoshitake and other volunteers to arrange for fireworks displays in several of the devastated communities on August 11, 2011, as a way of honoring the dead and buoying the spirits of the survivors. Directed by Lucy Walker. 2011. 39 minutes. Japanese with English subtitles. The Tsunami and the Cherry Blossom is an award-winning independent film completed in the months immediately following 3.11. Director Lucy Walker had been planning to go to Japan to promote another of her films, but the project changed in the wake of the triple disasters. As reflected by the title, the film has two distinct halves. In the first part, the focus is the tsunami and the resulting destruction and loss of life. 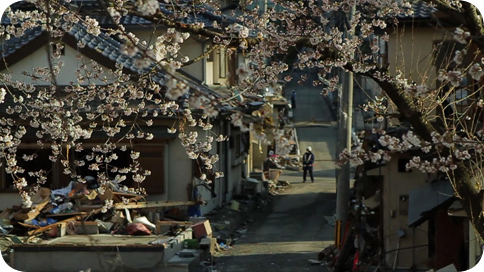 Approximately 18 minutes in, the film's focus shifts to the longstanding Japanese admiration for cherry blossoms. Dubbed over beautiful scenes of buds blooming are the voices of a cherry tree master saying that "nature has beauty and terror," and other Japanese of all ages talking about the importance of cherry blossoms to Japanese culture. Directed by Stuart J. Levy. 2012. 97 minutes. Japanese with English subtitles. 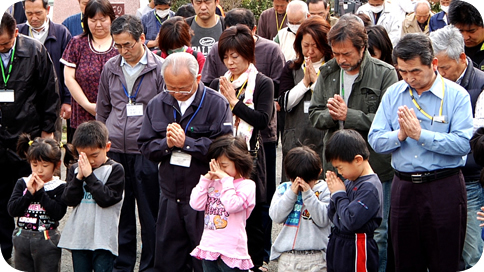 Pray for Japan uses four themes to help convey the experiences of survivors from the city of Ishinomaki. Despite the many images and stories of destruction, the film's overall message is positive, expressed best by the segments on volunteers. The stories of how and why people came from all over Japan (and around the world) to help the survivors clean up and begin putting their lives back together is inspiring. Directed by Atsushi Funahashi. 2012. 96 minutes. Japanese with English subtitles. Nuclear Nation is one such film that educators might consider for a focus on the Fukushima aftermath. From the film's ominous opening - dark silence followed by stark images of the damaged nuclear power plant set to sounds of a haunting wind - to the painful stories of evacuees who cannot return home, Director Atsushi Funahashi clearly documents the tragedies that befell the former residents of Futaba District, one of the communities that has been made unlivable due to radioactivity.